I for one, was deeply moved by this new song paying tribute not only to the people in Japan but bringing us all together as one to HELP THEM! Moving south of the Equator below the Land Down Under, we find Sam Verlinden from Auckland New Zealand. 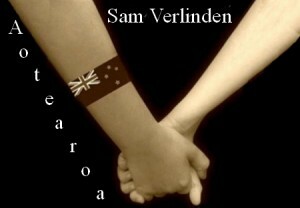 I asked Sam to author his own article which tells about what inspired his new original song entitled “Aotearoa” released less than two weeks ago. Hi, I’m Sam and I come from Auckland in New Zealand. Auckland is situated at the top of the North Island of New Zealand. On September 4th 2010 a 7.1 magnitude earthquake struck Christchurch which is situated approx one third of the way down the South Island’s east coast. Christchurch is the largest city in the South Island and is often referred to as the Garden City. This first earthquake hit at 4:35am in the morning causing widespread damage – but no direct loss of life partly because of the time of day it hit. Thousands of aftershocks occurred following (often daily) – and the people of Christchurch seemed to be getting used to them while in their recovery. That was until 12:51pm on February 22nd 2011 – when the fatal magnitude 6.3 earthquake struck. This killer quake was centered 2km west of Lyttleton, which is 10km south-east of Christchurch. Although it was smaller in magnitude, the earthquake was more damaging because the epicenter was closer to Christchurch and shallower at 5 kms underground, whereas the September quake was measured at 10km deep. This earthquake also occurred during lunchtime on a Tuesday rather than before dawn on a Saturday, and many buildings were already weakened from the previous quakes. No matter where are you from in the world, you will no doubt have seen reports on the news. 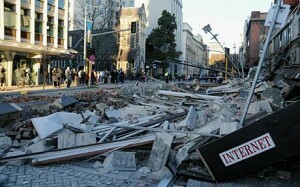 Many buildings collapsed around Cathedral Square in downtown Christchurch and many lives were lost. The Canterbury Television (CTV) building was severely damaged. Its lift cavity, the main part of the structure left upright, caught fire. The day following the quake, the police decided that the damage to this building was not survivable, and rescue efforts at the building were suspended. It is believed that more than 100 people died in the building. Christchurch Hospital was evacuated due to damage in some areas, but reopened later to treat the injured. The New Zealand defense forces were called in to assist in evacuating the CBD. The Pyne Gould Corporation building on Cambridge Terrace collapsed, and approx 30 of the building’s 200 workers were trapped. One survivor was pulled from this building 22 hours after the quake. The day after the quake, the Hotel Grand Chancellor, Christchurch’s tallest building, was reported to be on the verge of collapse. The 26-storey building was displaced by half a meter in the quake and had dropped by 1 meter on one side. The building was thought to be irreparably damaged and have the potential to bring down other buildings if it falls. A two-block radius was cleared around the hotel. Damage to houses and buildings in surrounding suburbs was also significant, with power and water lost for many days for some homes. Our NZ government declared a national state of emergency and flew in rescue and recovery resources from all around the world, including Australia, USA, UK, Japan, China and Taiwan to help. Our Prime Minister John Key publicly stated that 22 February may well have been New Zealand’s darkest day. It has been New Z ealand’s second deadliest natural disaster recorded, after the Hawkes Bay earthquake that hit in 1931. While the final death toll is still not known, it is estimated 182 people lost their lives in this disaster. New Zealanders around the country and the world could only watch with sadness as the devastation unfolded with most of us unable to do anything to help. 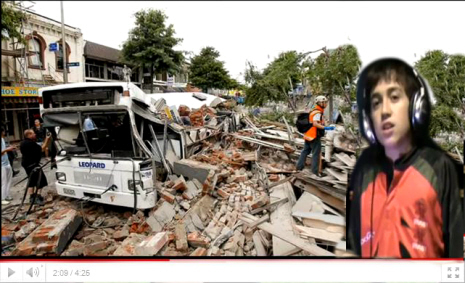 Initially I wanted to make a video to tell the world about our country and the earthquake and to encourage viewers to make donations to help the people in Christchurch. But then we decided to record this song which tells the story how it is. This song is a dedication to everybody impacted by the earthquake. Our thoughts and prayers are with you all. Also our thoughts and prayers to everybody impacted by the big one that recently struck Japan. New Zealand is a small country and we all so desperately want to reach out and help our Christchurch neighbors as they continue to adjust to the devastation that has hit them. It has been estimated that the earthquake could cost insurers up to NZ$16 billion dollars. Any donations you can make would be gratefully accepted. Here is the New Zealand Red Cross website – where you can make a donation to Christchurch appeal and also the Japan Earthquake appeal. I also wanted to say thank you to all those people around the world who contacted me to check if my family and I were safe. I will continue to perform at various fundraisers around Auckland and I will keep my website posted with appearances as they are scheduled: The final version of my song will be posted onto iTunes soon, with all proceeds going to NZ Red Cross. This video is a rough studio version – to give you all a preview. Another rising young star who has also made a huge commitment to help those in distress in Japan is none other than Joshua Flores. 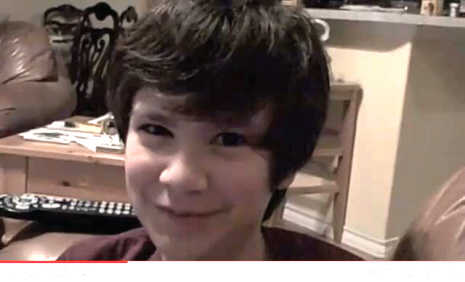 Joshua first appeared on this site back in July of 2010. Since that time many exciting things have taken place for him and he is most definitely on his way to a very rewarding musical career. 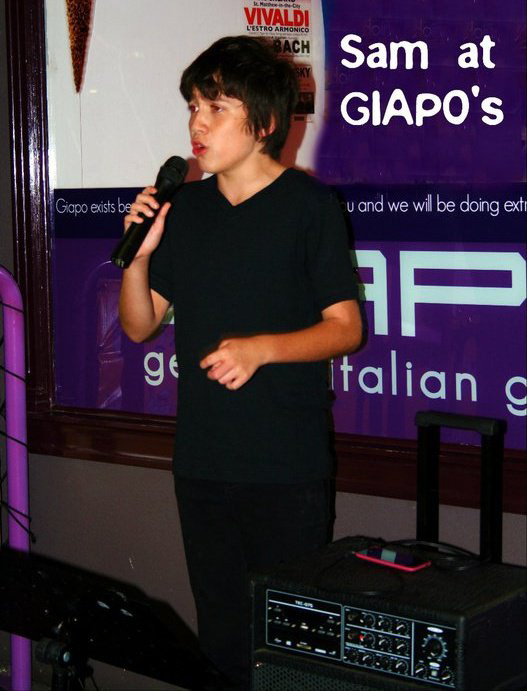 A few years ago Joshua performed and recorded an original song entitled “Let’s Give Them Hope”. Of all Joshua’s songs, I believe this one remains one of my very favorites. I was very excited to hear his latest remake with his deeper and more developed singing voice, and happy to help spread the word of his offering it as a means of raising funds via download of the song. He has said that all proceeds will be directly sent to aid Japan in their efforts of rebuilding homes and lives in that devastated country. This video was only just released and allows you to hear the song that you can download and enjoy while at the same time help those in Japan who are so desperately in need! After viewing this video please visit the download site of your choice and download his song to help Joshua in his quest to “Give Them Hope”. For more information about 2Boys, Sam Verlinden and Joshua Flores be sure to visit their individual links on this site under the appropriate pull-down tabs and visit them on their own web sites for which the links are included above. I am proud to support and write about these fine young artists and will continue to keep you informed about their successes as recording artists. Thanks Skykid for your comments about all the boys! 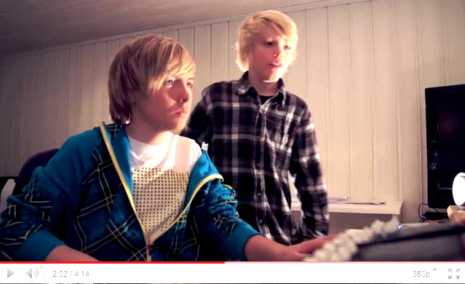 As you know 2Boys are actually from Norway. I long to see the mountains and beauty of that country! I also long for the day I can take a trip to both Norway and New Zealand. I would love to hear all these guys sing live! 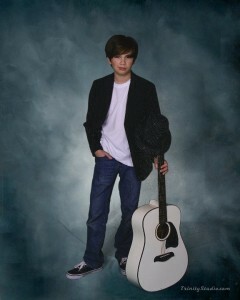 Joshua was just signed to a label and will soon be updating me with all the latest news surrounding him too! Can’t wait to hear from him and share it all here! Thanks for taking time to stop by my friend! Your support of this work is greater than most people even know! I’m proud to have you not only as a huge supporter and financial backer to this blog-site but as a valued friend which has now exceeded two years. You are truly appreciated beyond words! Thank you Helen for your comments and your support! Good job Marcus. Your voice has matured a bit and yet sound in perfect harmony with the voice of Sondre. That`s something that making so music very distinct and enjoyable to listen. Not long ago I did not anything about New Zealand than I discovered the music of Ethan and Sam – and now every time there is something on the news I find myself thinking of NZ as the land of…. I only hope that the good announcements will be more in the future ( at least on rivenmaster.com I can always count on that ). And Joshua I am looking forward to hear your remake of “Give Them Hope”. Interesting article. Thank you. It is great to read about such caring and talented people. We can all learn something from the compassion that our younger generation has and their desire to reach out to others. This world would be so much better off if we treated each other with kindness and respect without prejudges and judgmental attitudes. I am happy and proud to support the boys in every effort they they have not only in their musical careers but in their humanity efforts as well! My site is richer today because of them. All of Them! It so great that you bring them together Rod and let them share their thoughts and feelings about the sad happenings. It is good to see that they can come together even if they reside in different parts of the world. Music is a unified language. It gives me great pleasure to let the world know that these young men are doing everything in their power to help make a difference. We sometimes feel so small and helpless in the midst of such great calamity but these boys have shown us that we all have a talent to share and every small effort by each of us grows to an large extended hand full of blessed relief, hope, and charity! Thanks Thomas! 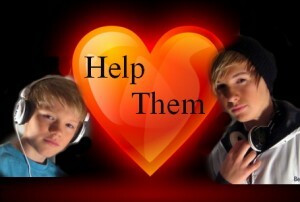 I appreciate your faithful support for both the website and for 2Boys! Great article. And it’s great to see how they, and also other people, get involved to help make a change in terrible situations like this.